-Long-term solitary confinement will continue in California under new regs. -Under the STG/SDP regs, unconscionable conditions that violate basic human needs still exist: no sun, no phone calls with family (until 6 months into Step 1 and then 1 per year until out of the SHU), no contact visits with family, no programming, no view of the outdoors, no fresh air, enforced idleness, sensory deprivation, no human touch except for shackling, no colors, no vision of anything far away, bad smells, tasteless or disgusting food, annoying noises all the time, very cold or very hot cells, sleep deprivation, uncomfortable concrete bed. -New regs provide no cap on the length of time a prisoner may be kept in isolation. –Lifetime solitary confinement remains possible under the new regs. -Under the new regs, thousands of men who have been in isolation for decades without any physically dangerous behavior will remain in concrete tombs. -New regs fail to address the outlier role of California regarding its intense overuse of solitary confinement (extreme isolation). -CDCR has no plan to eliminate SHU beds under new regs. -Many prisoners who have been in isolation for decades without any physically threatening behavior have to start with the 4- year SDP, rather than being released from solitary confinement immediately. -The SDP takes too long: a minimum of three years. -The times in each step of the SDP are too long. -The first 2-3 years in the SDP are spent in solitary confinement with no education or other programming. -Under the new regs, there remains no due process for a prisoner facing or in solitary confinement. -There is no due process for a prisoner if validated as part of a Security Threat Group. -There is no due process for a prisoner put in SHU. -There is no due process for a prisoner set back to an earlier step in the Step Down Program. -CDCR has too much discretion in sentencing, enforcing, and administering solitary confinement. 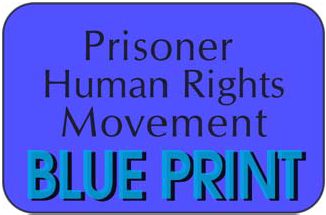 -CDCR should not be the body to review the justice or fairness of the assignment to solitary made by CDCR. -The entire process of determining if someone goes or stays in solitary confinement remains in the insular power of the CDCR. There is no independent review.-New regs provide no independent appeal for the prisoner regarding a decision to put or keep him in solitary. -New regs fail to eliminate CDCR’s use of coerced and secret evidence to put or keep people in solitary confinement. Prisoners still may be kept in SHU on the word of other anonymous prisoners (confidential informants). -Accusations of confidential informants are not detailed. -The information from a debriefing prisoner is inherently unreliable because the program is coercive: the debriefer is obtaining the significant benefit for providing this information – release from the torturous SHU. -Information from debriefers, which is inherently unreliable due to coercion, is automatically accepted as true by prison officials. -Prisoners targeted for solitary confinement with coerced evidence are not entitled to know who has named them or the specifics of the accusation. -It is almost impossible for a prisoner to defend oneself against secret charges. -The STG policy is a dangerous expansion of the gang validation model. -The STG policy expands the number of people who can be validated and put in long term solitary confinement indefinitely. -The STG policy uses Homeland Security language to criminalize prisoners for interactions that have nothing to do with domestic terror or violence. -With the new regs, as few as 3 people can become a Security Threat Group and be put in solitary confinement. 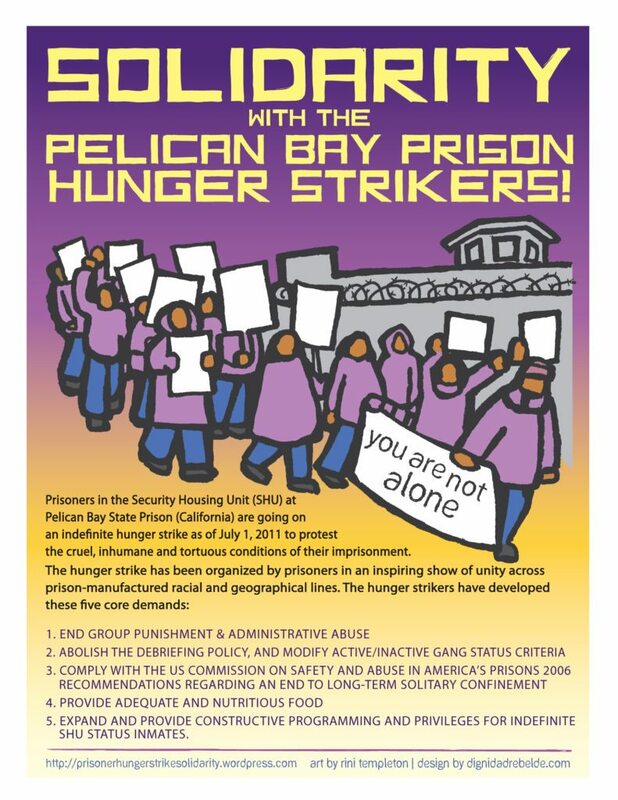 -Beyond the seven prison gangs with which alleged affiliation has been used to put someone in solitary confinement, the STG policy widens the net of prisoners who can be put in solitary confinement from being labeled a member of a Security Threat Group. -Validation as an associate may still mean a minimum of four years in SHU, solitary confinement. -New regs show that CDCR is leaning toward using previously banned “laundry list identifications,” permitting confidential informants to claim an inmate is in a “leadership capacity” in an STG without having to detail the conduct at issue. -Association can still get someone validated and put in SHU under the new regs. -The new regs do not eliminate indefinite and long term solitary confinement for accusations of mere association. -Prisoners can still be validated under the new rules as a member of a prison gang or STG without breaking a prison rule. -Dangerous “behavior” is loosely and falsely defined in the new regs. -With the new regs, a prisoner can be put in solitary confinement indefinitely as a member of a prison gang or STG based on possession of art work or political readings, having a tattoo, signing a greeting card, exercising with other prisoners, saying hello to another prisoner; whereas, in the past, those things would get someone validated as an associate of a prison gang. -The disciplinary matrix in the new regs punishes as serious offenses many actions or behaviors which are not serious and some actions or behaviors which should not be punished at all. -The new regs establish that prison guards or officials using the terms ‘direct link’ or ‘gang nexus’ related to any of those so-called ‘behaviors’ make them serious and grounds for being put in SHU. -In addition to being put in solitary confinement for said “gang behavior,” guards can now cite prisoners for rules violations for possessing these items and further punishment can be imposed. Citations for serious rules violations (115s) can extend prisoners’ SHU term, result in credit forfeitures, and harm their chance of parole. -Innocuous social interaction can be disciplined severely under the new regs. -Activities such as engaging in a peaceful protest and in the “End the Hostilities” efforts to resolve gang conflict should not be grounds for gang validation and SHU incarceration, as they are in the new regs. -There is no wording in new regs that prevent arbitrary validation leading to solitary confinement. -The new policy relies way too much on the discretionary power of prison officials and investigators. -Absolute power, still in the hands of prison officials and investigators in the new regs, is subject to great abuse. -Prison guards, officials and investigators have too much discretionary power as to who progresses from one stop to another in the SDP, or who gets sent back to an earlier step in the SDP. -Release from SHU is still a discretionary and arbitrary decision of prison administrators. -The “nexus” standard (connection to gang activity) as defined and applied is very arbitrary; for example, the notion that two validated prisoners could have a relationship with each other separate from the threat group (i.e. they are cousins or friends) is not contemplated or accepted as a legitimate relationship. -The new regs dangerously function as a handbook for guards to keep and/or put someone in SHU forever. –Although CDCR has inserted a new stage of review for SHU placements, this review is still within the confines of the prison system, where the dominant culture is to rubber-stamp the gang unit’s decisions. CDCR has not changed its culture. -Independent oversight is necessary to curtail CDCR’s solitary confinement excesses. -The STG and SDP programs follow the model of the U.S. Bureau of Prisons, a model that was the subject of great criticism in 2012 by the U.S. Senate Committee on the Judiciary, Subcommittee on the Constitution, Civil Rights & Human Rights. -The SDP program requires the collection of incriminating information about its participants in SDP workbooks. –How a prisoner’s SDP workbook will be evaluated is unclear. -There are no legal safeguards in the new regs governing use or disclosure of information elicited in workbooks. -There is nothing in the new regs as to how workbook information is maintained and no legal safeguards about how such information may be used in CDCR classification hearings, in criminal prosecutions, civil litigation, and/or before the Board of Parole Hearings. -The SDP workbooks are degrading, not uplifting. -The SDP regs purposefully deny access to self-help and educational programming to those left in the early phases of the SDP, showing that solitary confinement is being used to punish, not only segregate. -New regs.do not allow prisoners to have yard interactions with other prisoners of diverse affiliations until the last half of Step 4. The enforced segregation reinforces group hostilities. –Privileges for prisoners in the SDP are insufficient. -For example, a single additional phone call per year, slightly greater access to canteen, or the taking of a single photograph are inadequate incentives, individually and in the cumulative, to encourage participation in the SDP. -The STG/SDP regs are obscure and incomprehensible – in their present form, they do not provide adequate notice to prisoners of what the rules and procedures are. -Criteria for advancing through the steps of the SDP are not spelled out, too vague. -The new regs do not provide adequate notice to the legislature, the press, or the general public about the nature of this new program. -The disciplinary matrix and corresponding penalties specifically appear designed to be obscure and incomprehensible. We must end this dehumanizing punishment in prison known as the Shu. If we are to effectively return people to society, we must give them opportunities to understand and redeem. Our system of punishment cannot achieve the humaneness to advance society’s best interest. The practices of punishment are regressive and outrageous. There is no due process for prisoners which make it impossible for them to prevent a SHU term or to get out the SHU or from being put under the STG Security Threat Group. This also puts our men’s lives in danger with CDCR having the authority to put them in the SHU for long periods of time even for nonviolent causes. Gang investigators are not authorized to validate prisoners yet they do with prison officials abusing such power. Putting our men under STG just by informants in which are secret charges against the prisoner. How will they be able to fight against something not stated on paper? How is it even fair also for our prisoners who did not break one rule to still be put under STG considered to be associated with a gang because CDCR chooses to do so?